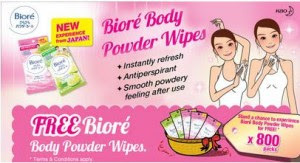 Biore Body Powder Wipes for free. only as per stated on the print out voucher. 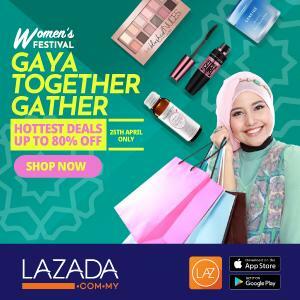 extension will be given for any expired voucher. 3) Voucher is not exchangeable for cash and/or other goods and services. 4) Voucher is generally non-transferable. 5) One voucher is valid for one redemption only. 6) Voucher cannot be combined with any other offer/promotion. 7) Customer is required to present NRIC and a print version voucher when redeeming sample pack.